The new U.S. National Security Strategy promises to put America first, raising critical questions about the future of alliances and economic partnerships, as well as about how the international community will handle challenges such as climate change that require concerted cooperation. Perhaps more troubling are the implications for arms control in a strategy that emphasizes “peace through strength.” In particular, it seems that outer space is again to be seen as an arena for national competition and potential armed conflict. The new strategy views space as a priority domain for national security. It incorporates not only military uses of space, but also the U.S. dominance in commercial space activities and space exploration. It was preceded earlier this month by the “Presidential Memorandum on Reinvigorating America’s Human Space Exploration Program,” which announced a program to return humans to the Moon. Earlier this year, China made a similar announcement. Like the first space race, this new race to the Moon and beyond is imbued with strategic security goals. The United States – in response to what it sees as advancing weapons capabilities by Russia and China – has been preparing for warfare in outer space. Last year, space was formally recognized as a normal domain of warfare under the Space Enterprise Vision, which serves as a “blueprint for fighting and winning wars in space,” and a Space Mission Force was created to focus on maintaining critical space services during a potential conflict. This year’s National Defense Authorization Act almost included a Congressional mandate to create a new Space Corps responsible for space warfare. But outer space is not a normal domain of warfare. It is an incredibly harsh yet fragile environment, a global commons that humans have reserved for peaceful uses. We have banned weapons of mass destruction from orbit and conventional weapons from the Moon and other celestial bodies. But there is no ban on the orbiting of conventional weapons. Yet for decades a norm of non-weaponization has existed – and for this reason, there are no clear rules of warfare, or mechanisms to contain it. The new NSS could signal the end to the taboo of weapons in space, with unpredictable consequences. Calling out threats posed by North Korea and Iran, the new NSS commits the United States to developing “a layered missile defense system” that “will include the ability to defeat missile threats prior to launch” (p. 8). This is also known as boost-phase missile defence, “the ‘holy grail’ of BMD” [ballistic missile defence] that has been as elusive as it is alluring as it is technically almost impossible and prohibitively expensive to try. But trying is clearly on the table. And this will involve space. The 2018 National Defense Authorization Act instructs the Missile Defense Agency to develop a system of space-based sensors to detect, track, discriminate, and verify effective intercepts of ballistic missiles. 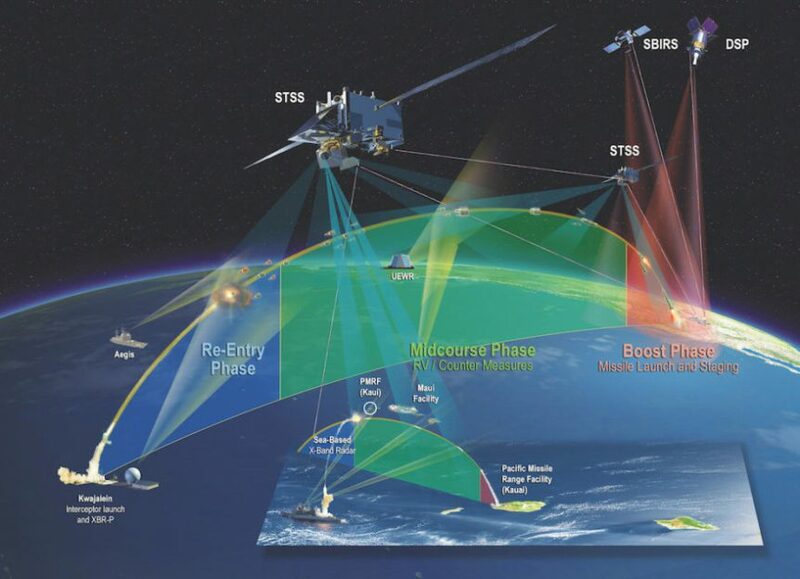 It also directs the Agency to proceed with a plan for a space-based ballistic missile intercept layer for boost-phase missile defence, if it is consistent with the Ballistic Missile Defense Review to be released early this year. The deployment of interceptors in space has been called out out in the “Bad Ideas in National Security” series produced by the Center for Strategic and International Studies for its inherent inefficiency and vulnerability. But whether or not it is feasible, such a plan would be incredibly destabilizing. It opens the door for the deployment of weapons based in outer space. It would be a flagrant violation of a long-standing norm against such deployments, and go against ongoing international efforts to prevent the weaponization of outer space. The strategic implications are not lost on the authors of the NSS. The Strategy declares, “Enhanced missile defense is not intended to undermine strategic stability or disrupt longstanding strategic relationships with Russia or China” (p. 8). But it will. Combined with the growing focus on warfare in outer space and escalating rhetoric about China’s and Russia’s growing arsenal of weapons capable of targeting satellites, any suggestion that the United States intends to orbit missile-intercepts, no matter how limited, could spark an arms race in outer space. Space has always been strategically important. As in the space race of old, there are opportunities to advance science, technology, human interest, and international cooperation through the renewed focus on exploration and commerce. But these benefits are threatened by a winner-takes-all attitude that too closely links success and security to dominance. And they may be lost to everyone if outer space becomes an active theatre of warfare and weaponry.